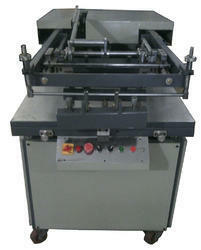 Pioneers in the industry, we offer uv spot coating machine from India. We are dealing with UV Spot Coating Machine for the flat object. We can print on any paper, glass, plastic. By this machine, we can do spot UV coating. We are giving 1-year warranty for manufacturing defects with quality.